Few months ago, Opera discontinued its Opera Max VPN which has now been taken over by Samsung. The new name is now called Samsung Max VPN. 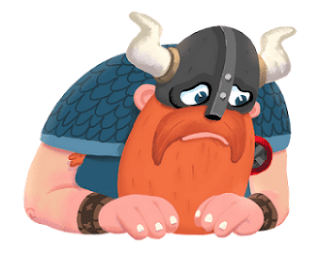 It's quite sad that Opera is taking down its own vpn app - Opera VPN. This vpn was officially launched in May 2016 for both Android and iOS devices and was made free for all. Opera VPN was one of the best free vpn app out there. It has different servers to choose from, including USA, Canada, Germany, Singapore, and Netherlands. The vpn is totally free. Opera Gold subscribers are being given a free 1year subscription to SurfEasy Ultra VPN, worth $77.88. It will interest you to know that SurfEasy is owned by Opera Software. Those who used the free version of Opera VPN are being offered an 80% discount off SurfEasy Total VPN, which is normally $4.99 a month or $47.88 a year. Actually, the company didn't give any reason for the indefinite closure. Like what Opera stated when shutting down Opera Max VPN, they said the VPN is a non-profit service. They don't earn anything from it, so they will be focusing more on their web browser. The same thing has just happened to Opera VPN. Seriously, if it ain't making money, then it ain't making sense. It costs a lot to run a VPN service. All the internet traffic of every user has to run through the servers of the company maintaining it. Opera Software probably just found it too expensive to offer this service for free. Very Sad Story to Hear,Opera is the best browser I will never compare it with another browser.. The shutdown is understandable, but it raises the question of how they had planned to sustain it in the first place. you have talked about this sometimes ago, well i dont use vpn not to talk of opera vpn.